This doesn’t make them feel lesser than others, neither does it make others better than them; it only makes us understand how blessed we are. What then, is the state of these special people? The people we always term as the less privileged . The people who make extra effort to do the things we do with ease. Are we in the position to undermine them? No! Should we help them instead? Yes! Overtime, they’ve been several advocacy on the need to extend help to the less privileged and it is quite impressive and encouraging that certain people and organizations have decided to bring these words into action. One of those organization is KONFOUNDATION which believes in a brighter future for all. Konfoundation is a non-profit organization that was founded in 2016, in Germany by a young couple Mohamed and Lena Konneh, alongside, Lena’s sister, Elisa. This organization is primarily concerned with helping the less privileged, especially the blind and disabled and their children in their immediate society. However, Mohammed was born and bred in Sierra Leone and this has geared his drive to extend his passion to his country. This gave birth to Konfoundation in Sierra Leone, which is believed to be one of the smallest and poorest country in Africa. 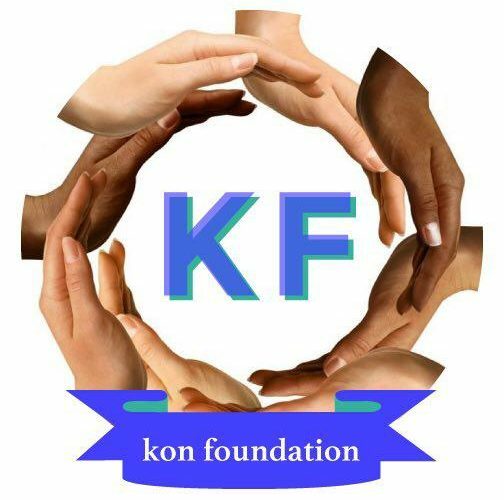 Konfoundation is concerned with providing basic amenities such as education, medical care, welfare etc for the blind and disabled in their immediate community. They understand that these people are most times compelled to be beggars because people pay little or no attention to their immediate needs. In addition, they have realized that this problem extends to their children who are left to wander about because of lack of education and accommodation to keep them in check. This foundation has been able to go beyond the regular lectures and advocacy; they have decided to take actions by committing their work to helping those who are left with nothing. They aim at providing a better future for the disabled and their children. They also give them the possibility of escaping poverty and unemployment by, helping in providing accommodation for the orphans and helpless families. One of these action was taken in, December 25, 2017 (Christmas day) when Konfoundation went around sharing food to the blind and disabled in Sierra Leone. However, they want to take another step further by helping them build their lives because they are not interested in building lazy and dependent citizens. They want to make them independent and hardworking citizens, against being dependent on aid organizations. Konfoundation hopes to achieve this by building standard primary and secondary schools across their country. It doesn’t stop at this however, they want to extend this charity work to other countries and they hope concerned and passionate citizens of different countries will stand up for this cause. We might not be able to extend our help to all, but, the little effort we make will make a difference. We are who we are by what we do.